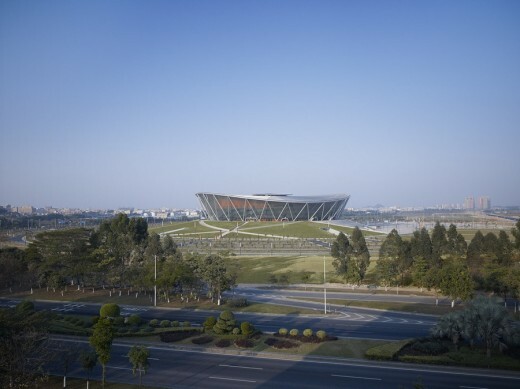 In the southern Chinese city of Dongguan – a city of several million – a basketball stadium has been completed to plans by architects von Gerkan, Marg and Partners (gmp). The building can be seen from afar and is a landmark that provides identity and orientation to the people in the new district of Liaobu. 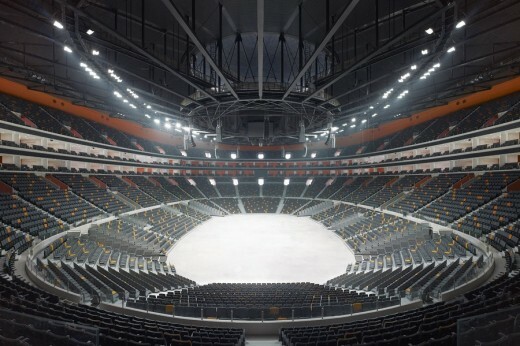 The stadium has space for nearly 15,000 visitors and can be used for sports and other events; it is the new main competition venue for one of the most successful Chinese basketball teams, the Dongguan Leopards. Basketball is increasingly popular with the Chinese, particularly so since Yao Ming, who is celebrated as a national hero, made his entry into the US basketball league – the NBA. 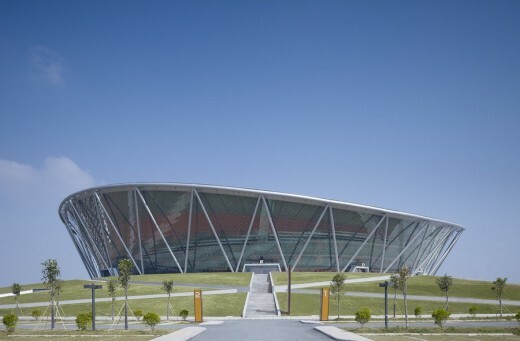 The design of the stadium transforms the elements of the sport of basketball in various ways: situated on a raised platform, the circular ring is reminiscent of the hoop of a basketball basket to which the facade is attached like the net to the hoop. 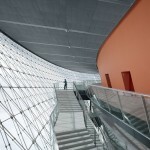 The typical orange colour of the ball appears behind the net-like facade in the form of the external structure of the arena, and also features in the interior design. 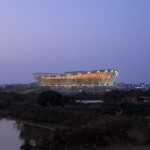 The steel roof structure of the stadium has a diameter of 157 meters. It consists of an external, vertically undulating pressure ring. From this are suspended 28 ribbons, on which lattice frame structures are placed for bracing. 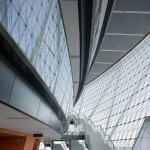 The roof area is supported on zig-zag shaped struts. 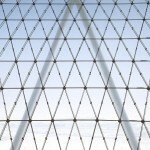 A unique feature worldwide is the cable network facade between roof and floor, which consists of triangular panels with insulating glazing.